This is my 499th blog post. Also, come February, this blog will be five years old. What? When did that happen?! 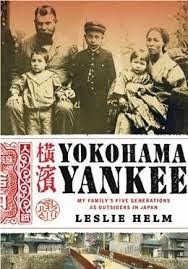 But---I just finished a family history memoir called Yokohama Yankee by Leslie Helm that I wanted to tell you guys about. I love a good family history. I devoured Cane River by Lalita Tademy. Sugar in the Blood by Andrea Stuart, in which the author traces her family back to English settlers of Barbados, was one of the more helpful sources in my research for Sailor's Daughters. Someone gave Yokohama Yankee to my dad as a Christmas present and we were reading it simultaneously (at different speeds) for a few days until he finished it yesterday and I got my hands on it to finish it myself. Leslie Helm is a fourth generation member of a family of German origin who ended up in Yokohama in the 19th century and built a very successful business. His first ancestor in Japan, Julius Helm, married a Japanese woman. Another branch of the family (Leslie's paternal grandmother's) had German and Japanese mixed blood as well. First of all, being half white and half Japanese, all of the questions and thoughts on being mixed race and mixed cultured were sentiments I understood, though sometimes I couldn't necessarily relate to the attitudes expressed in the book--I didn't grow up in Japan, after all. If I ever had that identity crisis that us biracial kids are purported to have, and which novels on race will have you believe are all we ever dwell on, then I had it as I attended Japanese Weekend School as a bewildered second grader. So, not knowing Japanese history, I didn't realize that after Japan was forced out of isolation that there were white people living there. So, for me, the history was new, but the culture and language certainly weren't. Can't read it, but I speak Japanese with no American accent. 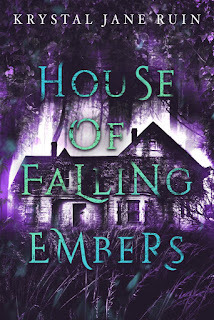 What happened to the Helms during World War Two was as gripping as a thriller. In short, the author's grandfather, another Julius Helm, happened to be born in New York, making him an American. Therefore, when Japan began seizing the assets of its foreign residents on the eve of war, this branch of Helms decided to go to the United States. After Pearl Harbor, they kept quiet on their Japanese ancestry because they lived on the West Coast, where Japanese people where being gathered up and sent to internment camps. The author's father, Donald, was in the U.S. Army. In the meantime, other members of the family stayed in Japan during the war. Still others, identifying more with their German side, joined German Youth societies and were tight-lipped about having Japanese blood. Since I've become the family historian, the genealogy work interested me as well. It's detective work and it makes me want to write a coherent family history one day. That actually sounds really interesting. I don't typically read books like that. I'm probably missing out a great deal. History isn't the most fascinating thing to, so I usually just assume I wouldn't like it. I do have a couple of history texts that I bought recently, but I don't think they're anything like Yokohama. I just started one of them: Infamous Lady, about Countess Elizabeth Bathory. We'll see how interesting it is, but the Preface is good. Lol! I read a fair bit of history because I actually like it. Lately, the history I've been reading is geared toward the WIP and I went through a Tudors phase and an Anastasia phase and an Irish in the Potato Famine phase. I don't think I would've liked the book as much if it was just straight Japanese history. I like my history written with a more personal angle, more like a novel than a textbook. Ooh, Bathory. She was a trip!